25 years of Somali resistance to foreign occupation.And now they use drones to hunt down dissent. Somalia is the scene of the mother of all African Orwellian wars,where the aggressors pose as peace-makers, where peace is the silence of the dead or brainwashed; where truth is lies, saving is killing, and a Western coup is called a parliament. Britain and the USA are funding OPERATION SOMALIA and have been at it since the engineered chaos of the early 1990s when Operation Restore Hope put 30 000 American soldiers on Somali soil to restore the engineered chaos in a relatively small port city on the other side of the world to the USA but that happens to be a highly strategic port for the Horn of Africa, Mogadishu.`Rebel` factions were armed to the teeth and allowed to shred with bullets the citizens and buildings of one of the most ancient cities in the world.Prior to this engineered chaos Somalia of the 1970s and part of the 80s had been a thriving, industrialized, extremely socially and economically successful country. Which is precisely why it was destroyed. Today Somalia is UNDER OCCUPATION. This occupation is being carried out by fellow African countries under the supervision of the African Union on behalf of the old colonial Western powers, most notably Britain in order to secure Somalian coastline, the Gulf of Aden and access to the world`s most lucrative shipping route. Al Shebaab formed around 2007. The reason was the same as those Palestinians who chose to form Hamas.Ethiopian `peace-keeping` forces under British puppet Meles Zenawi had murdered 50 000 Somalis. With the escalation of hypocrisy, lies, and the Orwellian War on Terror, Al Shebaab`s non- Western orientation have justified the continuing annihilation of this nation. While nearly 300 000 people died of starvation in Somalia between 2010-12, a high tech war is now being waged by the Obama dictatorship to remotely kill at will. This nation has been used as the world`s toxic and nuclear waste disposal site by the Western world, most notably Italy, it has been shat upon by its African neighbors under pro-western puppet dictatorships and it has been subject to the full onslaught of British and American imperialism disgustingly disguised as humanitarianism. 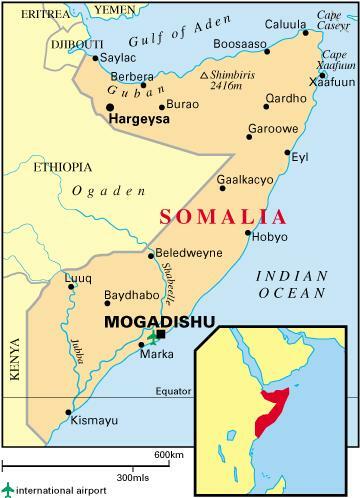 Somalia is currently governed by a bought and paid for lobotomized regime of Somalis in a sham of a government called the TFG which legislates on a daily basis for the privatization of every last national asset in a parliamentary building which is situated a stone`s throw from a Guantanamo-style interrogation centre operated by foreign security agencies otherwise known as mercenaries. Somaliland (and Puntland) are secured zones disguised as independent countries.These regions are not only geographically strategic but they are also oil wells.Each has its own Guantanamo-style security run by `out-sourced` foreign security/mercenary firms. Who gives the USA the right to do this ? 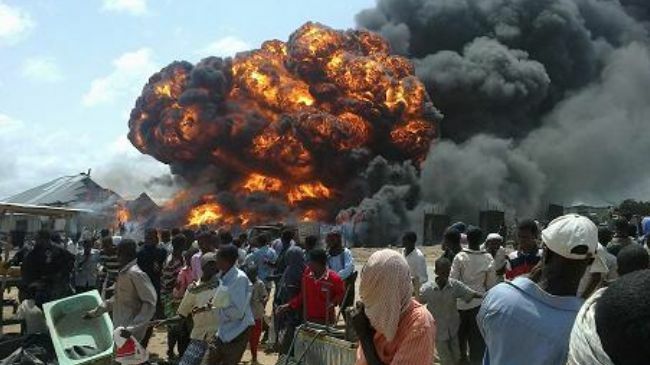 Who gave the Warlords of Westminster and Washington moral jurisdiction over Somalia ? The American Council on Foreign Relations gave the official figure for people killed by US drone strikes as 3674.This is the number of people killed not including those killed in Iraq and Afghanistan. The Bureau of Investigative Journalism is a private organization that monitors US drone strikes. Their estimate is 4404 people killed in Pakistan and Yemen alone, since 2004. THEREFORE the Obama regime has murdered with drones, without trial, MORE people than were killed in 9/11. Critics of US drone policy estimate that on average 10 innocent people get murdered for every 1 militant killed in a drone strike.